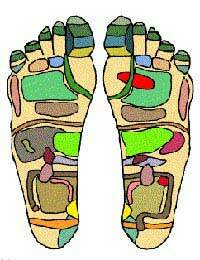 Reflexology is a therapeutic, complementary, natural therapy that can be applied to both the hands and the feet. This gentle pressure point manipulation can provide many holistic benefits. Whilst receiving the treatment from a trained therapist can be a relaxing and de-stressing experience, self-treatment also offers physical and emotional wellbeing. The pressure points on the sole of the foot are highly sensitive zones that correspond to parts and areas of the body. When pressure is applied to these points stimulation of the internal organs and glands triggers a therapeutic response in the body. Reflexology is therefore able to aid wellbeing and can also help minimise minor ailments and conditions. Reflexology provides a beneficial means of relaxation that is accessible anywhere and does not require any specialist tools, oils or lotions. For a deep pressure point treatment however, application of oils and creams can help the movement and strokes, of the hand over the foot, flow more easily. Reflexology self-treatment is a simple procedure that can alleviate minor common ailments, help you relax, stimulate circulation and generally improve your wellbeing. If you are suffering from any medical conditions it is important that you seek advice from a GP before contemplating self-treatment of any kind. When using reflexology for self-treatment it is important to pay particular attention to the way in which your body reacts as you work on the foot’s pressure points. Sore, tense and sensitive areas may indicate an underlying problem or medical concern so should be treated with additional care. Lymphatic drainage, improved circulation, deep relaxation and stimulation of the nerve connections can all be achieved through regular reflexology treatments. As you familiarise yourself with the sensitive and receptive areas of the feet you will become more aware of the way in which self-treatment is able to improve your vitality and wellbeing. Muscles that are relaxed are not only more pliable but also encourage the healing process to work more swiftly. Before beginning a reflexology self-treatment it is therefore important that feet are clean, warm and comfortably relaxed. If this means creating a spa experience – by bathing feet in warm, scented water before drying and massaging with your favourite cream, lotion or oil – then this will provide an additional beneficial element to your treatment. Rest one ankle on the opposite knee so that you can easily access the sole of your foot. Hold the foot firmly between both hands and gently work your fingers over the pressure points. If you feel a tender spot release pressure if there is discomfort. Gradually work your way all over the sole of the foot, then repeat process on the other foot. There are many point stimulation tools available that can be used alongside self-treatment or as a quick instant remedy. Magic Reflexers are golf-ball sized stimulators that are placed under the foot and rolled gently with a pressing motion, to provide stimulation to harder to reach pressure points. Natural wood Reflex-Rollers can also be used along the muscles of the leg, arm or hand, whilst rollers with projections can help revitalise deeper reflex points and improve over-all flexibility of the foot. Reflexology tools are therapeutic helpers that enable tired hands to relax. They can release tension and strengthen muscles with very little effort. They also offer a good additional source of relaxation treatment in between visits to a trained reflexologist.